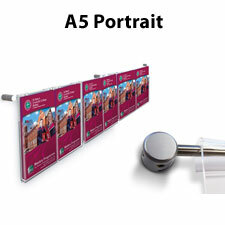 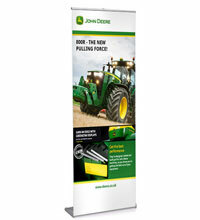 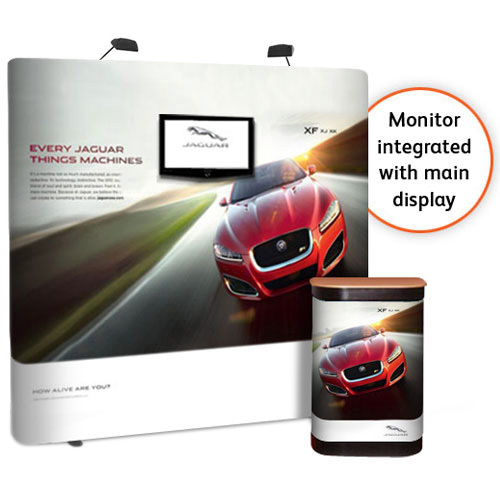 An eyecatching straight 3x3 popup package with TV mounting bracket for tradeshows and conferences. 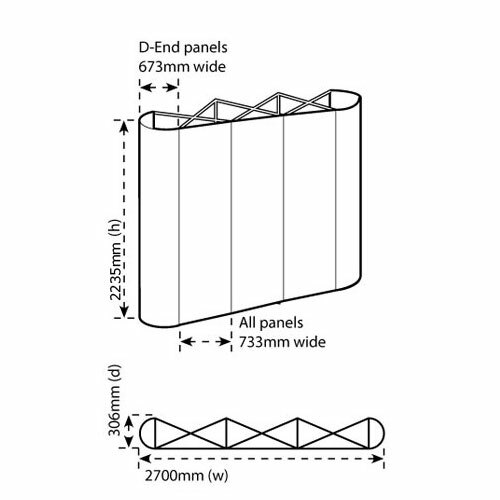 The simple bracket sits securely in a chosen frame section behind the graphics and the support arm protrudes through a small cut-out to take a TV up to 22"/5kg. 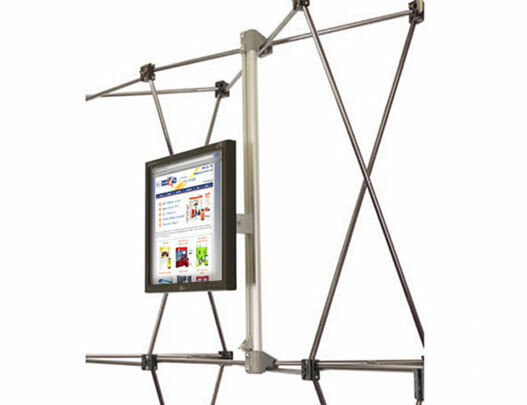 The mounting equipment includes a VESA mounting bracket which is screwed onto the back of the TV. 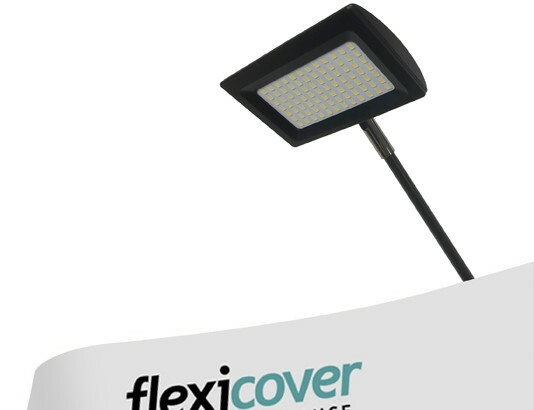 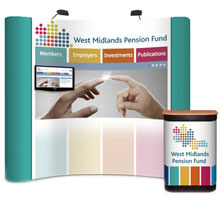 The popup package includes all the components necessary for a professional exhibition including five laminated digital graphic drops, a hard wheeled shuttle case with two separate compartments, a case graphic wrap, a beech coloured folding tabletop and two 12 watt LED spotlights equivalent to 90w halogens. 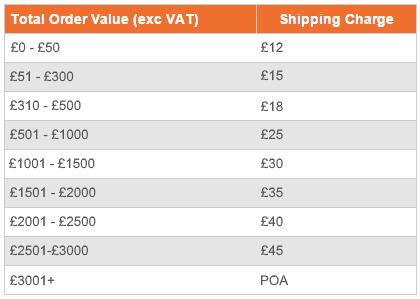 Optional upgrade includes a coloured tabletop (black, white or silver). 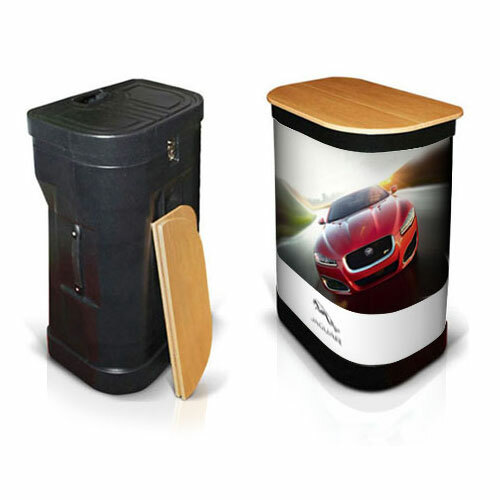 Please speak to our sales team now on 0116 2554640.